It’s been a week since my last post as I’ve been kept busy making Avatars of friends for their facebook profiles. This is the second of my Grandfathers Pictures. I can’t tell you much about it other than it was on a glass slide. If you recognise the beach please feel free to comment. I cleaned the dirt and scratches using the spot healing brush and clone stamp tool. Then the image just needed a single tone curve to make it more defined. Very good capture, great scene and composition! The place is Douglas, Isle of Man. Your great grandfather’s family used to go for holidays during Wakes Week. He came from Stretford in Greater Manchester where the main employment was the cotton mills. They would all close down at the same time for Wakes Week which is when all the workers took their holiday. Blackpool was a favorite place to go and those that could afford it would take the ferry over to the Isle of Man. “The place is Port Jack, Onchan, Isle of Man and I guess the photograph was taken in the early years of the last century, as the guest houses immediately below the tower were built in 1907. The tower on the hill is or was The Falcon Cliff Hotel (It was recently demolished, rebuilt and enlarged and is now offices). 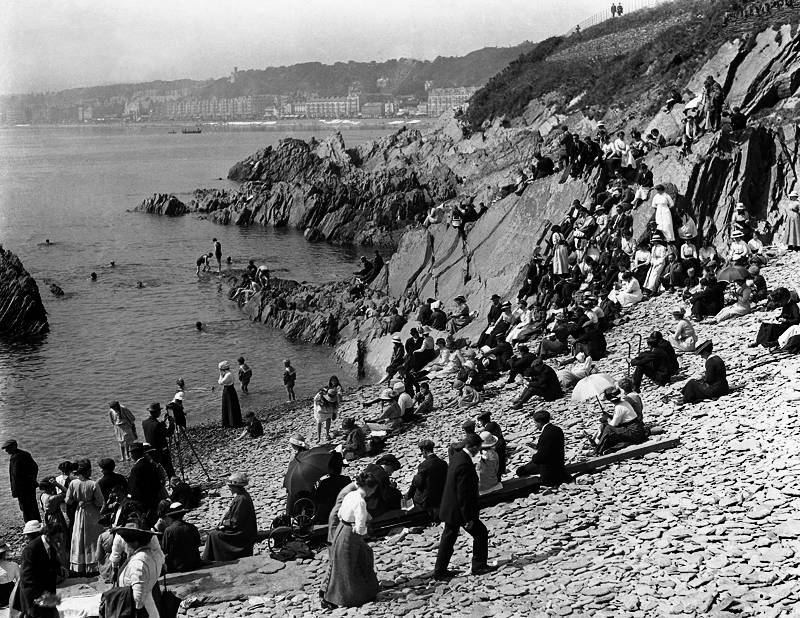 The shingle beach was a popular bathing and sun-bathing beach due to its south facing position right up until the 1970s.